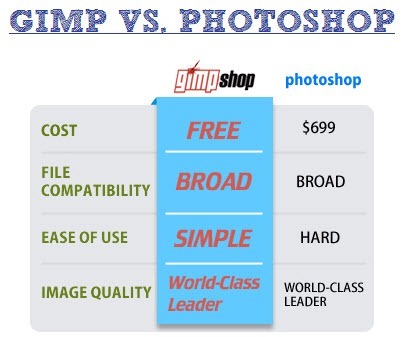 Gimpshop is a FREE, downloadable photo and image editing software program built to rival Adobe Photoshop. This latest build – Gimpshop 2.8.6 – represents over 17 years of development and collaboration. The GNU Image Manipulation Program (or G.I.M.P) is an Open Source program designed, maintained and supported by a team of international volunteers. This lastest version of Gimpshop incorporates support of 16 & 32-bit color, a highly intuitive user-interface, a huge array of filters & dynamic brushes and leading-edge advanced tools that power users and professionals demand in high-end, high-priced photo and image manipulation programs like Adobe Photoshop. 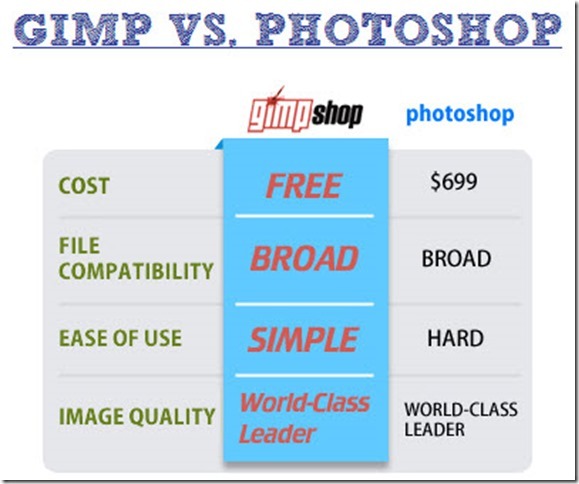 If you are already using Adobe Photoshop and want to use GIMP, there will be a slight learning curve as you will need to see and learn the new interface and shortcut keys of GIMP which are different from Photoshop. One of the features of GIMP 2.8 is highly expanded brush dynamics engine allowing users unprecendented control and flexibility to configure unique response curves. Gimp 2.8 introduces the single-window mode. This highly requested feature was added to give Photoshop users the look and feel of the Photoshop workspace, but allows advanced user to quickly toggle to multi-window mode. Import and Export your images in a wide range of common file formats like: JPEG, GIF, PNG, TIFF – to special use formats such as multi-resolution and multi-depth Windows files. A completely new Cage Transform tool was developed for 2.8 as a result of the Google Summer of Code 2010. The tool takes an innovative approach to free transformation and makes it easy to warp parts of objects.